Activating health, relaxation, spirit and attitude! It is with joy, gratitude and enthusiasm that I bring the healing and energizing benefits of Reiki to my clients. As I practice Reiki, and live the lifestyle, I recognize that I am simply the conduit for Universal Life Energy. It is the Reiki, and the client who are responsible for the healing. 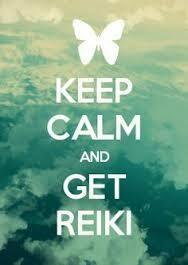 I invite you to join me, and my clients in your own personal Reiki experience. "I just wanted to tell you that the stabbing pain has remained gone! I woke up this morning feeling better and happier than I have in a long, long time! So, I thank you again!" "The gifts that Jane brings to her healing work, as well as teachings, truly encompass mind, body and Spirit! She is a profoundly wise woman, inspiringly graceful and fit. Being able to hold such a beautiful "still" space for you...focusing attention on one's healing, as a practitioner and as a reader. While she is a channel for the Angelic realm, I believe that she herself is truly an angel among us, helping us gain a deeper awareness of our soul." " My Reiki session with Jane was a very positive experience. The benefits I received were on a psychological level. As a two year cancer survivor, I had been struggling with feelings of anxiety and fear. My session brought me to a very peaceful and balanced place. " "My experience with Reiki was of enlightenment, focus, mystic and life affirming. A most enjoyable experience learning more of what makes us tick,"
First, I had a hard time going to sleep because I had such a renewed energy...but, finally I did. I woke up this morning in great shape and feeling full of energy! Maybe I feel too young now! Anyway, thank you very much an I am going to pass your card to everyone!" "I first became aware of the benefits-both physically and mentally-of Reiki while going through chemotherapy as a result of breast cancer several years ago. As someone that is very involved with the plight of shelter dogs, I did some research and found that Reiki can be quite beneficial to them as well. Ms. Hennessy, on a recent trip to Westport, CT generously provided Reiki sessions to the "residents" of Westport Animal Control. These dogs come to us as strays with no history. We don't know anything about them or what they have endured in their life before arriving at our door. Under the skilled hands of Ms. Hennessy, I watched the dogs respond and relax to their individual Reiki sessions. Even those dogs that had a hard time sitting still initially soaked up the tender attention to their doggie energy. Following the sessions, the information provided about each dog by Ms. Hennessy was invaluable in regard to not only providing them more comfort while at the shelter but also finding the their perfect forever home." " I've had the pleasure of knowing Jane for over two years. During that time, I have found her to be a compassionate, loving person who always goes out of her way to help others, be they two legged or four legged. During a visit to my home last year, she took the time to send Reiki energy to two of my rescue dogs, whom my friends refer to as the "phantom dogs" since they are rarely seen. Since my husband and I adopted them several years ago, they have spent the majority of their time under our bed because of the traumatic experiences that they endured prior to their adoption. The Reiki energy helped them to begin the process of transforming from "under dogs" to more sociable, trusting companions. They now join us in the den in the evenings as we watch TV, something they never would have done prior to receiving Reiki. Both Jane and the Reiki are awesome!"